One of the most essential characteristics for a high-functioning team — perhaps the single most important characteristic — is trust. Anyone who has worked on a team knows that team members must be able to trust each other to get the job done, and be committed and dedicated to the overall welfare of the group. In any group of individuals, trust is challenging to create and sustain, but in the case of a multicultural team it can be especially difficult for a variety of different reasons. First of all, communication styles vary across cultures; so, too, does the extent to which people socialize or get down to business at the start of a meeting. There are differences in conventions around time, giving feedback, and disagreeing publicly. Multicultural teams are prone to friction due to perceptions of ethnocentrism, with minority team members feeling ignored or not taken seriously. How can leaders of multicultural teams leverage the upside of diversity without falling prey to its inherent challenges? In our collective experience working with hundreds of individuals on cross-cultural teams around the globe, leaders of multicultural teams can use the following five tips to build trust between team members. Structure the team for success. The great organizational behavior scholar Richard Hackman used to argue that the best way to ensure a positive process in a team is to create initial conditions that set up the team for success. For a multicultural team, that means making sure the team has a clear and compelling direction, its members have access to the information and resources they need to successfully carry out the work, stakeholders in different geographies and functions are on board with the team’s agenda, and the team is staffed wisely — ideally with people who have the requisite technical skills as well as cultural intelligence and global dexterity. Given the built-in challenges these teams face to begin with, it’s essential to staff them with as many curious, flexible, thoughtful, and emotionally stable members as possible. 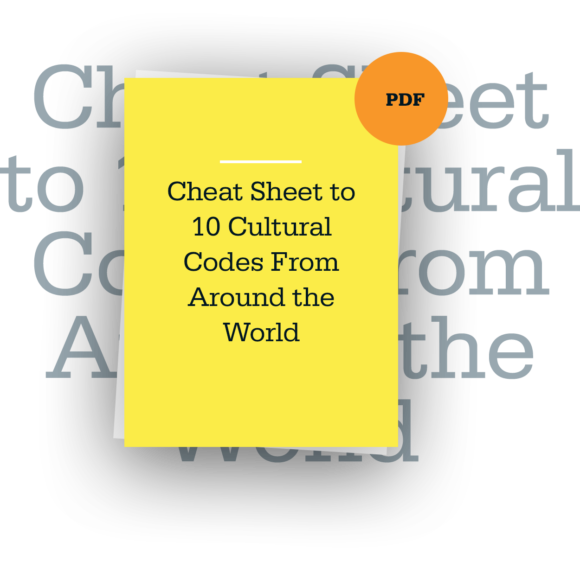 Understand the cross-cultural makeup of your team. The leader of any cross-cultural team needs to understand the different cultures, language differences, and “fault lines” within the team, as well as the potential for misconception and miscommunication. For example, if the team comprises three Germans and three Koreans, you might guess that feedback will be a cultural tripwire. Many Germans are notoriously comfortable giving direct, unmitigated feedback, whereas the reverse is typically the case in Korea unless the dialogue is between senior and junior colleagues. Making note of these tensions can help you anticipate potential challenges and resolve them swiftly and effectively. That said, leaders also must understand individual personalities. What if the three Korean members of the team all went to school in the U.S., lived and worked in Europe, and are anything but prototypical Korean in their cultural style? That would make for a very different set of predictions about group dynamics. Set very clear norms and stick to them. Multicultural team members are inevitably going to bring a wide variety of different work styles and personal preferences to the table. The team leader must establish team norms that everyone sticks to — no matter what their personal default might be. Rather than simply imposing your own preferred style, start by taking into account what will work best for the team as a whole, and consider incorporating practices from other cultures that could be useful. For instance, if you normally assign individual responsibilities but many team members have a preference for handling work in small project groups, you could assign complex tasks to small groups. Make the norms clear, but be aware of who on the team might find it difficult to meet those expectations due to cultural backgrounds. You may need additional communication for those team members. For example, if you have established that team members must arrive at meetings by the designated time to ensure a prompt start (Western-style punctuality), you’ll need to reinforce that norm consistently across the group. The same goes for patterns of communication. Multicultural team members benefit from knowing what type of information they will receive when, and from having a regular rhythm for video conferences, teleconferences, email updates, and one-on-one discussions. This creates context and predictability that helps to compensate for those instances when team members are remote from one another. Of course, sometimes things change and adjustment is required, but in general, keeping a consistent, clear structure regarding work styles and expectations is a critical way to create a common-ground team culture. Find ways to build personal bonds. Both of us have found that one of the most powerful tools in easing potential conflict on a team is establishing personal connections. Naturally, different global cultures have different norms about relationship building. In some cultures, like the UK, it takes a long time for people to build a friendship; in other cultures, like Brazil, it seemingly happens overnight. Given this, you may not be able to encourage deep, personal relationships — but you can foster rapport and individual connections. Perhaps you discover that someone with a completely different background from you is also an amateur photographer, or you both have children who play the piano. You’d be surprised at the power of these personal bonds, especially on a multicultural team. Leaders must create conditions for these connections to form: Organize social events, pair quieter team members with vocal ones, or directly facilitate introductions between specific members who you think might have hidden commonalities. Chances are, the benefits will circle directly back to the team. When conflict arises, address it immediately. Conflict is inevitable in any team, let alone a multicultural one. If tension arises, address it quickly so that a small conflict doesn’t balloon into something impossible to manage. Leaders need to be capable of understanding multiple cultural perspectives and serving as a cultural bridge between parties in conflict situations. This may require an understanding of indirect as well as direct communication styles, and a readiness to have a frank group discussion or confidential side conversations, depending on the situation. Trust is the glue that makes any team function at a high level, but it doesn’t happen magically, especially in the case of a team composed of culturally diverse members. With the motivation to make things work and the tips above, you should be in a great position to leverage the benefits of diversity while minimizing its challenges. Originally published at Harvard Business Review by Andy Molinsky and Ernest Gundling. Andy Molinsky is a Professor of International Management and Organizational Behavior at the Brandeis International Business School. He is the author of Global Dexterity (HBR Press, 2013) and the forthcoming book Reach: A New Strategy to Help You Step Outside Your Comfort Zone, Rise to the Challenge, and Build Confidence (Penguin, 2017). Follow Andy on twitter at @andymolinsky and learn more at www.andymolinsky.com. Ernest Gundling, Ph.D., is a Managing Partner at Aperian Global, a firm that provides clients with leadership development, intercultural skill-building, and assignee support services for their global employees, as well as the online product, GlobeSmart®. He is the author of several books, including Leading Across New Borders: How to Succeed as the Center Shifts (Wiley, 2015). The ability to network – to develop contacts and personal connections with a variety of people who might be helpful to you and your career – is a critical skill for any global business leader. Mohammed Abdullah fixed his tie, took a deep breath, and walked into the room. You’d like to contribute to discussions at your company, but you can never get a word in edgewise. Multicultural teams are ubiquitous in today’s business environment, and a lot has been written about them.